Home > Episode 1,016: #SWCO Friday – The Last Jedi, and the Journey to It! 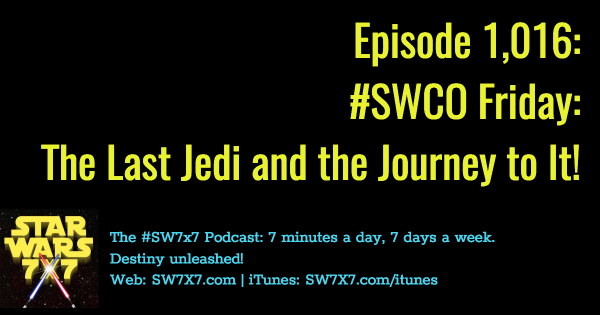 Episode 1,016: #SWCO Friday – The Last Jedi, and the Journey to It! How do you top Thursday’s amazing Star Wars Celebration Orlando? By kicking off Friday with The Last Jedi panel discussion! And what’s more, you also reveal that there will be a “Journey,” too! In this wrap-up episode, I’m sharing the highlights of the biggest news to come out of #SWCO on Friday. The teaser for The Last Jedi was, of course, the biggest news, and there will be a separate breakdown episode about that coming soon. The panel discussion itself had lots of new surprises, which I’m summarizing in this episode of the podcast. I’ll get into deeper detail, including sound byes from Kathleen Kennedy, Rian Johnson, Daisy Ridley, John Boyega, Mark Hamill, and Kelly Marie Tran, in an additional and separate bonus episode. 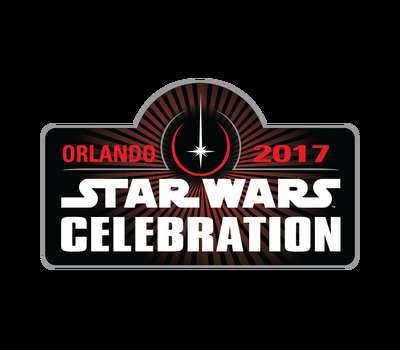 And finally, the first publishing panel of Celebration Orlando revealed that there will be a “Journey to The Last Jedi,” as there was with The Force Awakens. All that and more, discussed on today’s podcast!